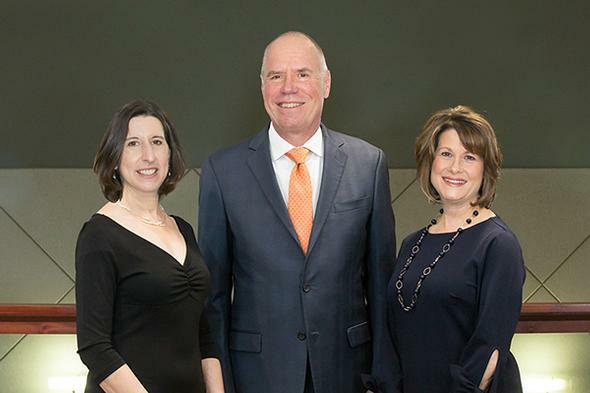 As a Wealth Management Advisor and an Estate and Business Planning Specialist for Northwestern Mutual, Peter Racen is committed to helping his clients whether they are concerned for their own financial needs or those of their family or business. He doesn't do it alone; here you will find some of the team who help make it happen. The purpose of the team of professionals is to help our clients achieve a high quality of financial life. Our goal is to honor God through the use of our talents, creating options and choices to guide our clients in making wise decisions. Our Mission is to develop enduring relationships and provide expert guidance, innovative solutions, and world-class insurance services and internationally-recognized investment products to help clients attain a lifetime of financial security. We accomplish this by asking challenging questions to inspire individuals to define, develop, and achieve their goals and dreams. What this means to our clients is increased clarity and confidence that comes from taking steps toward financial security. 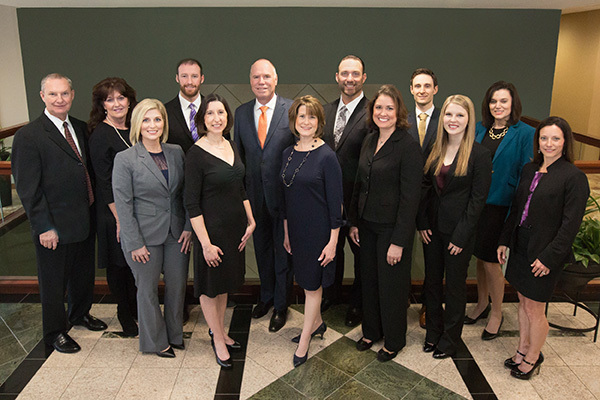 Our team provides comprehensive needs analysis for our clients by reviewing the appropriateness of their investments and the adequacy of their insurance to help fulfill their needs throughout their lifetimes. Peter is an estate and business planning specialist and a designated CERTIFIED FINANCIAL PLANNERTM (CFP®); we are supported by a network of specialists as well as professionals at Northwestern Mutual’s home office. Certified Financial Planner Board of Standards, Inc. owns the certification marks CFP ®, CERTIFIED FINANCIAL PLANNER ™ and federally registered CFP (with flame logo), which awards to individuals who successfully complete initial and ongoing certification requirements. The Racen team is supported by a Network of Specialists to bring the expertise you or your business need for comprehensive training. Tom has been in the financial services industry since 1996 when he went to work for AG Edwards and Sons. Prior to that he had spent 18 years in a variety of sales, marketing and business consulting positions with Dow Chemical. He joined Northwestern Mutual in 2003 as an Investment Specialist and currently works as a Wealth Management Advisor out of the Chesterfield, MO office. Tom’s primary focus is on personal and business planning. He combines practical experience with the full scope of products, services and expert assistance that Northwestern Mutual provides to help guide individuals to financial security. Tom graduated from the University of Missouri-Columbia with a degree in journalism. He and his wife, Ethel, have four sons, Dave, Dan, Michael and Ryan. They enjoy golf, hiking, travel and family vacations. Lori has been a representative of Northwestern Mutual since 2006. Her personal background has led to her special interest in educating people about long term care insurance, having experienced declining health issues with both of her parents. She is a regular Core Coalition winner, illustrating her expertise in all of Northwestern Mutual’s defensive planning products. Her professional background makes her well-suited to working with those in detail-oriented professions such as engineering, construction, and accounting. Lori has a bachelor of science degree in geological engineering from the University of Missouri – Rolla. A lifetime resident of St. Louis, Lori lives with her husband Joe and sons Bryan and Eric, both in college in Columbia, MO. Joe owns a home remodeling company and is an avid fly-fisherman. The family enjoys the outdoors and all sports, particularly golf. Lori also loves to travel to the peaceful areas of the country to pursue her passion for photography. Lori is involved with the American Diabetes Association. In June 2014, Dave joined his father, Tom Tulley, to grow his Wealth Management practice. Dave services both existing clients of the practice, as well as welcomes new clients to the Tulleys' holisitic financial planning approach. Prior to Northwestern Mutual, Dave was as an Account Manager at Thomson Reuters where he worked closely with investment management firms, hedge funds, investment banks and private equity firms. Dave is a graduate of the University of Missouri-Columbia and Saint Louis University. He received his Bachelors of Science in Finance from the University of Missouri-Columbia and later went on to complete his Masters of Business Administration with emphasis in Finance at Saint Louis University. Dave holds his Securities Series 7 and 66 licenses and is Missouri State Insurance licensed for Life and Health. He recently earned the CFP® ceritfication and ChFC® designation. CFP® certification demonstrates a deep knowledge and commitment to personal financial planning and is recognized as the highest standard in the industry. ChFC® certification is the "Advanced Financial Planning" designation awarded by The American College of Financial Services and qualifies holders to provide comprehensive advanced financial planning for individuals, professionals, and small business owners. Kaye has been working for Peter as an Associate Financial Representative since September 2005. She is a graduate of Missouri State University-Springfield, Mo. and holds a bachelor of science degree in management and marketing. Prior to working for Northwestern Mutual, she worked for State Farm Insurance. She is a native of Washington, Missouri, and currently resides in West County with her husband, Dave. Her husband works in information technology infrastructure for Schnuck's Markets. Kaye is active in St. Joseph Catholic Church. In addition to spending time with her adult twin daughters, family and friends, she enjoys trying new restaurants, scrapbooking, biking and aerobics. Serves as our operations coordinator making sure your questions, concerns and service requests are taken care of with professionalism and courtesy. Expedites the underwriting and policy approval process for all life and disability insurance applications. Prior to moving to St. Louis, Lisa managed the corporate communications and investor relations of a worldwide manufacturing company. She has been a part-time communication and marketing assistant to Peter Racen since 2006. Lisa holds a bachelor of arts degree in communications from Millikin University. She is a native of Quincy, Illinois, and now lives in West County with her husband Mike, daughter Emma and step-son Ian. The family is active in Parkway United Church of Christ. Lisa enjoys spending time with her family and friends, writing, editing, participating in a mother/daughter book club, and yoga. In addition to event planning responsibilities with her community, Lisa has previously been a volunteer for the American Cancer Society’s Relay For Life and her daughter’s Girl Scout troop.